The McNeel Mill is a former circa 1865 mill in Mill Point, West Virginia that ground cornmeal, cracked corn, and buckwheat. The building, after years of neglect, has been restored. The first mill along Stomping Creek was constructed by Valentine Cackley and his brother John, both who had moved from Philadelphia in 1778. 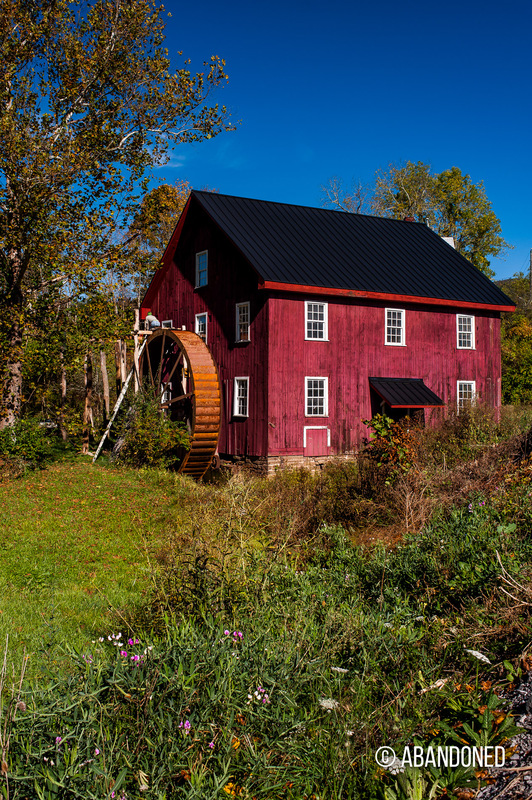 1 The Cackley Mill, fed from a spring on McNeel Run, was the area’s first gristmill. A sawing apparatus was added in 1808. The Cackley family later sold their mill to Sampson Matthews who then sold the land the mill was on to Isaac McNeel. Just prior to the Civil War, McNeel erected a new mill downstream from the Cackley Mill, although it was not finished until after the war had ceased in 1865. 1 Similar to the Cackley mill, it ground cornmeal, cracked corn, and buckwheat. The Cackley Mill was later operated by the Hogsett family who installed a wool-carding machine for making wool yard and batting for quilts. A large steel water wheel, replacing the original wooden water wheel, was added to the McNeel Mill in 1921. 2 An engine house was then built to add power to the mill during times of low water flow. A flash flood in 1935 nearly washed out the platform that held the millstones at McNeel Mill. 1 It also rerouted Stamping Creek and made channeling water through the water wheel difficult. The flood also damaged the Cackley Mill, leading to its collapse a year later. 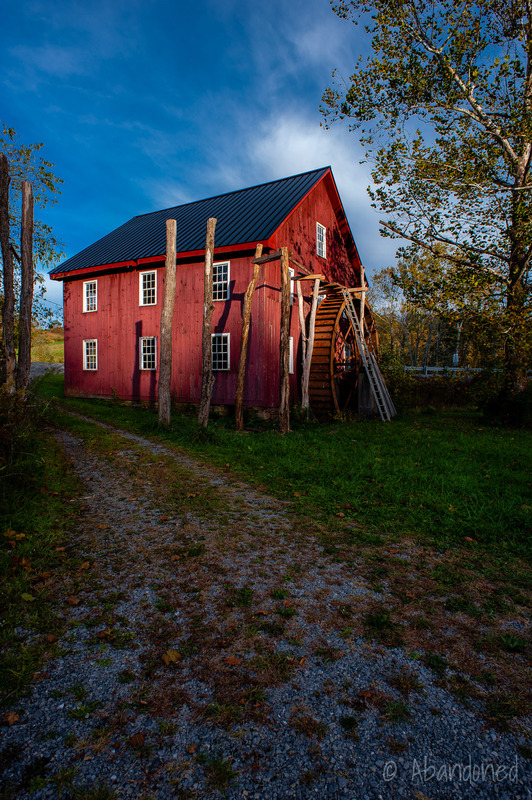 McNeel Mill at last light. Berry, Phil. 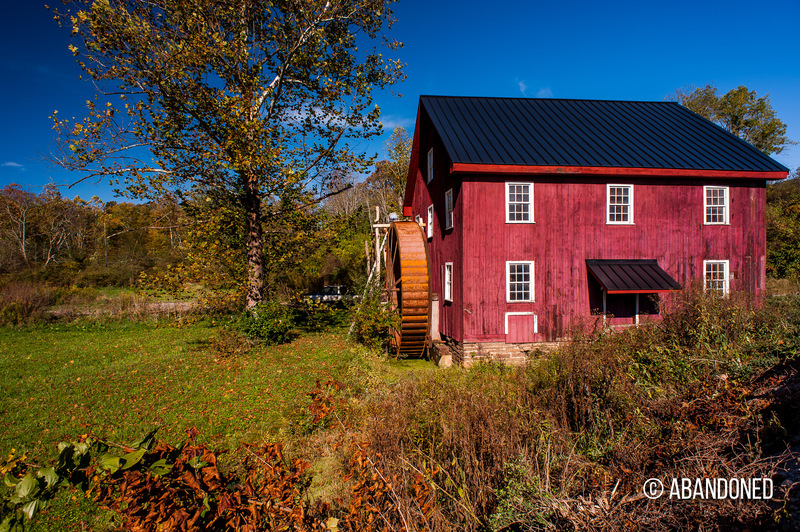 “Places in Time: McNeel Mill & Mill Point.” Wonderful West Virginia Magazine Apr. 2006. West Virginia Division of Natural Resources. 15 Apr. 2006. Tanner, Drew. “Down by the old mill stream.” Mountain Times Aug. 2006: 8-10.